Delegate Leaders work with the WPC to coordinate a group of people interested in attending the congress. Once registration opens in September of 2018, Delegate Leaders will work with their local group to coordinate travel plans and to ensure that registrants meet important deadlines. A limited number of Delegate Leaders will be selected based on the applications. Shirley Burke (United States): Hello everyone! My name is Shirley and I am 41 years old. I am happily married with a 13-year old son. I currently live in West Des Moines, Iowa. Since my official diagnose of young onset parkinson’s in 2013, I have been actively involved with the American Parkinson’s Disease Association Iowa Chapter young onset Parkinson’s support group. I am excited to be selected as the program lead, because it will give me an opportunity to be connected with others within the Parkinson’s community, and be able to take what I learned from others and share with members of my group here in Iowa! 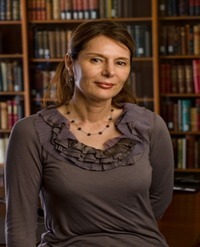 Melissa Rehm (United States): Melissa lives with Secondary Parkinsonism, Ataxia, and Dystonic Tremor. She began her journey at the age 41. After years of multiple doctor visits, exams, and tests, she received a diagnosis of Young Onset Parkinson's Disease (YOPD) in 2012. Though it came during a challenging time of being a wife, with two young daughters, and working in the school district, having a label was welcomed. In 2017, the diagnosis was changed to Secondary Parkinsonism with Ataxia and Dystonic Tremor. In 2015, Melissa started a support group online, Never Give Up PD, to share and learn tips with other People with Parkinson's (PwP’s) and their loved ones. Today, it’s known as Parkinson’s International - Never Give Up (PINGU). Alyson Blanks (Australia): Alyson is an Exercise Physiologist and has lived in Sydney Australia most of her life. She is a mother of two, and a carer for two 90 year old’s and works for Parkinson’s New South Wales. Alyson first became involved with Parkinson’s New South Wales (NSW) when a client, who had Parkinson’s, came to her for an exercise program. 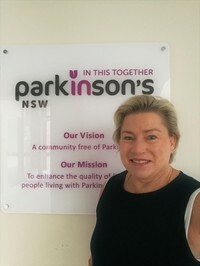 Alyson has now worked at Parkinson’s NSW for 5 years and is currently designing and implementing an exercise initiative, to be delivered all across New South Wales, to compliment the suite of support services offered by Parkinson’s NSW. Alyson became involved with WPC when organising a group of Parkinson’s NSW delegates to attend the Portland Oregon WPC in 2016. She is very excited to again be involved with WPC in Kyoto. 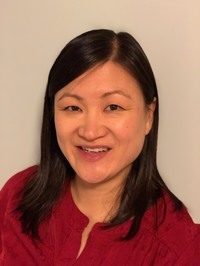 Sukhee So (United States): Sukhee So is a physical therapist living in Portland, Oregon (USA). She has a passion working with people with Parkinson's Disease both in the clinic and with the Parkinson's Resources of Oregon (PRO) in her town. She truly believes the importance of movement based activities and incorporates this with the people she works with on a regular basis. When she can, Sukhee also enjoys competing in triathlons and traveling, and looks forward to participating in the 2019 WPC in Kyoto! 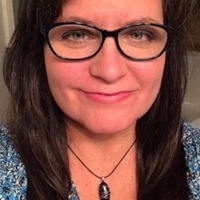 Ginette Trottier (Canada): I was first exposed to Parkinson's disease almost 15 years ago with a cousin who had Parkinson's disease. As my career grew in the health field, I got to know and work with a multitude of people living with PD. I joined the Parkinson Canada team in 2010 and have been inspired ever since. I had the opportunity to attend WPC 2013 in Montreal and WPC 2016 in Portland. The experiences were amazing and I look forward to meeting new people and learning new developments in PD treatments and research in Kyoto next year. In my spare time I enjoying rescuing cats and give them a better life. 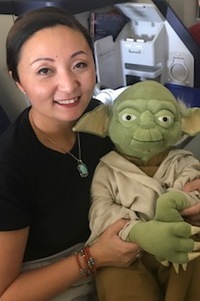 Nasrin Esnaashari (United States): My name is Nasrin; I am a Certified Nurse Practitioner at University of Southern California Keck School of Medicine, Department of Neurology. I am involved with clinical evaluation, teaching, research protocols, multidisciplinary meetings and management of patients with deep brain stimulators (DBS) for more than 20 years. I apply my knowledge, as a credentialed Clinical Nurse Specialist, to teach my patients and their caretakers. About 8 years ago, I initiated a new DBS Support Group, which helps patients and their care givers to learn about DBS from health care professionals and other patients with DBS. My research is focused on improving the quality of care for patients with deep brain stimulator and in conjunction with my colleagues; we examined the patient expectation and outcome after DBS. I enjoy cooking, gardening, reading and music. It makes me happy to do something for my patients and they been my mentors all along! 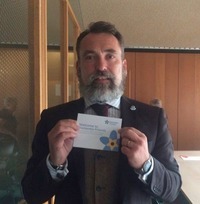 Philip Bungay (United Kingdom): from Rochester, Kent, England is the lead coordinator for the Parkinson's UK Medway Working Age Group, Co-chair of the Medway Neurological Network and a member of the Young Parkinson's Alliance, which is hosted by Parkinson's UK and is an umbrella group for several different Parkinson's charities in the UK for PwPs who were diagnosed with Parkinson's at 45. Become A WPC Delegate Leader! Delegate Leaders work with the WPC to coordinate a group of people interested in attending the congress and will be recognized on the WPC 2019 website and on our social media pages. Once registration opens in September 2018, Delegate Leaders will work with their local group to coordinate travel plans and ensure that registrants meet important deadlines. Delegate Leaders will receive logistical support from the WPC as needed. - would like to connect with others in their region to travel as a group to provide companionship as they travel to the congress. This is a great way to build your own 'buddy' program from our region before the WPC even begins! A limited number of Delegate Leaders will be selected based on the applications.